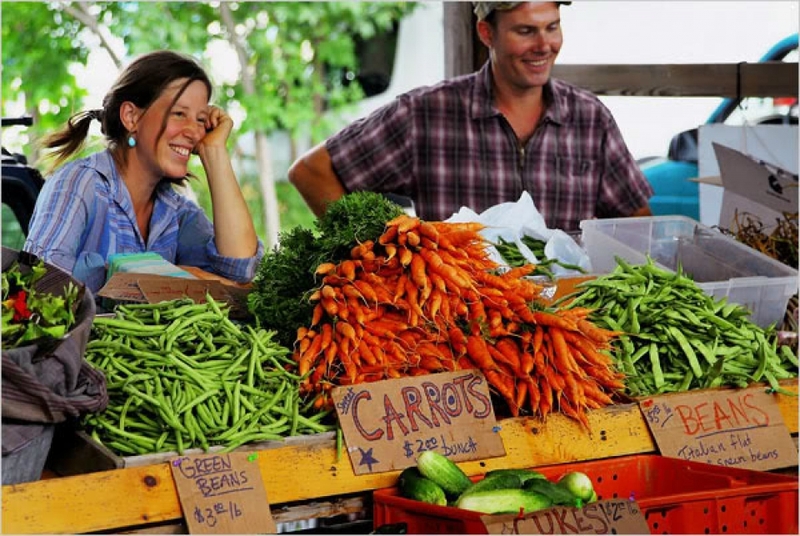 This summer Utahns Against Hunger (UAH) provided funding to 25 farmers markets and farm stand to participate in the statewide SNAP-match produce incentive program, Double Up Food Bucks (DUFB). During the 2017 market season the Double Up program had over 5,600 transactions, with more than $70,000 in SNAP sales and $46,000 in DUFB incentives redeemed for fresh Utah produce – a twenty percent increase over 2016. Read our 2017 DUFB Impact Report for more highlights from the season. UAH welcomed several new farmers markets to the program this season, including markets in Brigham City, Spanish Fork, Salt Lake City (Liberty Park), and Summit County. These markets joined a growing network of farmers markets and farm stands from across that state that now accept SNAP benefits and offer DUFB – an important strategy for increasing access to healthy local food while supporting small farmers and strengthening local economies. Utahns Against Hunger is excited to announce that one of our close organizational partners is planning to take over management of Double Up in 2018. UAH will continue to be involved with Double Up outreach and promotion, but we have made a strategic decision to shift away from program management and redouble our work advocating on behalf of low-income Utahns - to defend our nation’s vital food assistance programs, like SNAP, against the looming threat of deep funding cuts. It has been truly rewarding to pilot and grow Utah’s Double Up program over the last three years, and we will be sad to let it go. That said, we are thrilled to have found a partner organization that is ready to build on Double Up's success, and that has the capacity to accommodate the program’s continued growth and expansion over the long term. Although the transition is contingent on funding, we are cautiously optimistic that Double Up will be offered again in 2018. We will announce the program’s new organizational home early in the new year. UAH would like to thank our 2017 program supporters and partners, including Intermountain Community Care Foundations, the Utah Department of Health, Synchrony Bank, the USDA Food Insecurity Nutrition Incentive grant program, the Department of Workforce Services, USU Extension/Food $ense, local health departments across the state, and the 25 farmers markets and farm stands that offered Double Up in their communities.